Nyuk, nyuk, nyuk! It's the Three Stooges! All my favorite quotes! Curly,,,,"Don't look now but we're about to be killed!" Three Stooges Film Festival at the Redford Theater in Detroit Michigan presenting six shorts. I've been promoted! 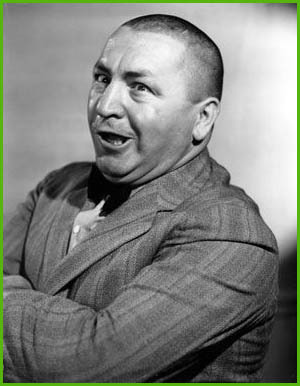 Yes, I am now the Moderator and Administrator (pro-tem) of Lunkheads Place, Three Stooges Forum. Knight,,,,,"Gentlemen, the Queen requests your presence." Curly,,,,,,,"We have no presents,,,all the stores were closed". Moe,,,,,"This coffee tastes like paint". Curly,,,,,"Oh look,,,you bent the chisel". Larry,,,,,,"Oh I've been smart all along, only you didn't know it." Curly,,,,,:This fish looks like Moe"
Moe,,,,,,"Remind me to murder you later"
Curly,,,,,"Oh, I'll make a note of it". Gaurd,,,,,,"Announce yourselves to the Queen"
Larry,,,,,,"Your Majesty, we are the Three Fallen Knights". Curly,,,,,,"Our days aren't so hot either". Larry,,,,,"Do you smell rubbish burning?" Moe,,,,,"Why don't you get yourself a toupee with brains". Curly,,,,,"Thats my favorite dollar, I grew it from a cent". Larry,,,,,"Sounds like there is a bear down there". Moe,,,,,,"Now how can there be a bear down that well"? Moe,,,,,"I would beat your brains in,,,if you had any". Larry,,,,,"One of us is crazy , and its not you." Curly,,,,,"I'm trying to think but nothing happens". Larry,,,,,,"This place reminds me of the reform school." Moe,,,,,,"I'll tear your tonsils out and tie em around your neck for a bow-tie!!" Larry,,,,,"When it comes to cookin' , I'm the 'Cat's Meow !!" Curly,,,,"I got a tapeworm and that's good enough for him"! Curly,,,,,, "I'm makin' a Western Surprise"
Moe ,,,,,, "There's no liquor in that...."
Larry,,,,,"Look......bent to fit the head!" Moe,,,,"Did ya' lock the door?" Curly,,,,"Yeah, TWICE. Once this way, (to the right), and once that way,(to the left)"
Curly,,,,"Well I reckon that if there's no other place around the place, I reckon this must be the place, I reckon." Moe,,,,"Oh a wiseguy eh? I oughta mash ya like a potata"! Larry,,,,,,"I ain't afraid of that fathead." Curly,,,,,"I haven't been to the circus since I was in the fourth grade." Moe,,,,,,,"Yeah. That was LAST YEAR !!" Curly,,,,,,"I'll take care of myself"! Curly,,,,,,"Were you wearin a pink tie? No, then here's your lip." Moe,,,,,"Is there any gas in the tank?" Larry,,,,,,"I don't know..It points half way, I can't tell if it's half empty or half full"! Curly,,,,,"Vise? I have no vise. I'm as pure as the driven snow." Curly,,,,,"Say what would you do if you could hold the queens hand?" Larry,,,,,"That depends when the king is expected home." Moe, Larry, Curly,,,,,,"NIAGRA FALLS?!?! Slowly I turned, step by step..."
Moe,,,,,"Get the Dynamite. I knew we'd have to use it for something." Curly,,,,,"HEY !! You're not gonna BLAST ?" Silver 86 SE 2M6 4-speed, with "check wallet light" and "hockey withdraw pains"
Funny lil tid bit of info.. Curly's sister lived 4 houses up the street from me, and my dad knew the whole family really well.. And yeah the whole family is that damn weird!! Curly just so happened to be my fav stooge!! Wish I had the chance to of met them. My grandpa has a pic somewhere with the three of them, but hes 96 so good luck ever finding it, LOL (ohh and this is in St Louis of all places!!) Great memories!!! Ferrari 308 GTB rebody on a modified 86SE chasis Soon to have a highly hooped up 3800SC..Ohh yeah baby!! Remember, always brush your milk, drink your teeth, dont do sleep and get eight hours of drugs. Here's some more, laughing so hard, I'm crying, oh too much. Shemp,,,,"Gee Moe, I'm sorry Moe. What Moe can a fella say? That's all there is, there ain't no Moe." Curly,,,,"Hey Moe....what does blood taste like?? ?....Hmmmm, not bad..tastes like ketchup!!!" Moe,,,,,...."Wait, Wait, Wait. We're gettin' no place fast." Shemp,,,,,"If ya aint gotta gun for me, what'd bring me along for???" Curly,,,,"Meet me in the gymnasium next to the dumbbells. 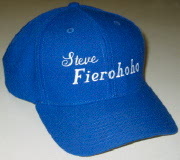 You'll know which is me, I got a hat!" Shemp,,,,"Am I a good detective? See that heel? I ran that down!" Moe,,,,,"You mean you'll really marry him?" Miss Dinkelmeyer,,,,,"Oh, Yes !! Why he's my little ole dreamboat !!" Shemp,,,,,,"You're little dreamboat is salin' !!! Whooo !!Whooo!!" Larry,,,,"Did he break your nose?" Moe,,,,,,"What's the idea of packin' the phone?" Curly,,,,,,,"In case we get a call while we're gone." Curly,,,,,"I shot an arrow into the air, where it lands I do not care. I get my arrows wholesale!!" Curly,,,,,,"Moe Larry,,,the cheese, the cheese!" "Rogueford?,,,no Limberger!" Did they have an all day Three Stooges Marathon today? Judge: Let's cut the vernacular. Larry: Moe, these water pipes are all full of wires! No, I actually drank a triple shot latte coffee and was all buzzing on cafiene when I started to write down all the famous lines from the stooges. I then found this site called Stoogeworld and I got carried away. Drank a Dr. Pepper and was screaming buzzing on caffiene, look at the time of the posts, found another stooge site called Lunkhead's zone, strictly stooges . Larry,,,,,"Sorry Moe, we thought you were a fish". Moe ,,,,,"Do I look like a sucker"?! Oh, I don't know, maybe I just needed a break from it all, type up some stooge lines for everyone to get a kick out of. Just happened to notice that you refered to them as Moe, Larry, Curly. I know that in the Akron/Cleveland area that everyone refers to the 3 stooges as Larry Curly and Moe. Apparently some disc jockey or local t.v. host said it that way many many moons ago and it stuck around here. From what I have heard we (Akron/Cleveland Ohio people) are the only ones who refer to them in that order. I've been told that this is a sure-fire way of telling if someone is from this area. Just a lil tidbit of info you might like! Here are some more for the stooge fan! Curly,,,,,"Wake up and go to sleep !" Larry,,,,,"What'd ya' waking me up for ?!?!" Curly,,,,,"Ya' snore like a roarin' LION !" Larry,,,,"I DO NOT! I stayed awake all last night to see if I snored , ....and I DIDN'T ! Larry,,,,"And what might yer name be ,Lass?" Christine,,,,,"Perhaps you've heard of it. 'Tis 'Lorna Dune' ." Shemp,,,,,,"Hi ,Lorna. How 'ya doin?" Curly,,,,,"A Tarantula! Whooo whooo whooo"
Curly,,,,"We're the best plumbers that ever plumbed a plumb!" Customer,,,,," I'll have scrambled eggs and toast". Moe,,,,," Adam and Eve on a raft"! Gentleman,,,,,"Are you sure that this work is in competent hands? Larry,,,,"We're trapped like rats !!" "Delighted , Devastated , and Delapidated"
Yup, I'm at it again,,,,,,,so here goes. Shemp,,,,,"Powdered bacon ... what'll they think of next?" Moe ,,,,"Do you lunkheads know what this stuff is for?!" Moe,,,,,"Its for sale,,,,now get selling it"
Curly,,,,,"You hit Santa Claus eh? !,,,,just for that,,,no toys!" Larry,,,,"You never can tell, we might meet up with a bear"
Curly,,,,,"We're not ordinary people,,,,,we're morons"! Curly,,,,,"And what's more important, what's your phone number!" Moe,,,,"Hey, what does your watch say?" Shemp,,,,"It don't say anything, you gotta look at it"
Curly,,,,,"Hey, this stuff's taking the paint off!" Moe to Curly,,,,"Hey, what are you smoking,,, an inner tube?" Big lady,,,,"Won't you be my boyfriend,,,you'll like me after we get aquatinted, I grow on people". Gentleman,,,,"Are you members of the press"? Curly,,,,,"I used to be,,,but I didn't do any pressing, I went through the pockets, sorta like a dry cleaning". Curly,,,,"Something hit me in the head,,,is there a bullet hole there?" Moe,,,,,"No bullet's going through that skull". Man,,,,,"Hey whats behind those drapes?" Curly,,,"The back of the drapes". Curly,,,,"Don't get excited,,,,you can still use it as a cheese knife". Executioner,,,,"You can be burned at the stake or have your heads cut off." Curly,,,,,"I'll be burned at the stake". Curly,,,,,"Everyone knows that a hot 'steak' is better than a cold 'chop' !" Moe,,,,"Are you going to eat that (entire chicken) alone"? Larry,,,,"No, maybe if I wait, I'll get potatoes!" Curly,,,,"I'm a victim of circumstance". Ok everyone thats it for now, I hope that I put a smile on someones face with all this non-sence that I've typed up here. Edit,,,,victim of circumstance, had to clean up the list a bit. Time to crack open a "twelve pack of Curly's", nyuk nyuk nyuk. The all day Three Stooges Marathon is about to begin. Moe, Larry, Curly, the VCR, the VCR,,,,,whooo whooo whooo!!!! Remind me to murder you later,,,,, I'll make a note of it, nyuk, nyuk, nyuk. Every women I know hates the Stooges. Are there any exceptions out there? Whatever it is you're on Jetman, I don't want any! I have myself a good woman. She enjoys watching the Stooges. She is not a fan, but she will watch them with me and she laughs. "I resemble that remark! nyuk nyuk nyuk." 8 hours into The Three stooges marathon and going strong on a Starbucks triple double latte coffee, oh my, need more stooges, need more stooges, whooo whooo whooo, calling Doctor Howard, Doctor Fine, Doctor Howard. "Are you insinuating?" "No, but I know all the words." "Please drop the vernacular",,,"But its a Derby"
"Boys give him the anesthetic,,,,,boink"
"No wonder the plumbing don't work, the pipes are clogged with wire!" "Hey, this stuffs taking the paint off!" "I'll have you shot at sunrise",,,,"You can't do that , we don't get up that early." "Yes, we have no banannaza"
"Trapped like rats",,,,"Speak for yourself." "Moe, Larry the cheese, the cheese!" "What are you taking a bath for?,,, It ain't Saturday night!" Wow, what a great Three Stooges marathon! I now have 36 episodes over 12 hours on 7 VCR tapes and I used a brand new recorder to tape it all. I printed the episode listing out and I made labels out of that for the tapes for a real professional look. I always notice something new when I watch The Three Stooges. In the pie fight, "Hoi Polloi", the most amazing scene was where the butler has a dainty little tray balanced on his fingertips with a small drink. He announces to the lady, "your drink Madam" at which instant, he gets slammed by a pie in the face, full force which snaps his neck back with whiplash velocity! Not only does he remember his line, "pardon me Madam", but he doesn't spill a drop. Amazing, simply amazing! Man,,,,,"Oh, you're the missing Link?" Curly,,,,"No, I'm the found Link." Curly,,,"Did you ever hear the song snow, snow, beautiful snow?" Curly,,,,"Yes we have no bananza"
Sign on lawyers door,,,,,"Nill, Null and Void"
Curly,,,,"Me coming home from a hot days work, I whistle for the wife and the dog comes out." Curly,,,,"Every time I hear that weasel tune, something inside me snaps and everything goes black"
Larry,,,,,"That Mr. Dill sure has us in a pickle." Curly,,,,,"Oh look, a gold nugget shaped like a tooth." Curly,,,,,,"Carrots? That don't look like a vegetable to me." Moe,,,,,,,"I'll give you a califlower ear. ",,,,smack boink. Just thinking to myself,,,Its illegal for me to have just one little firecracker but those dopes always seem to get their hands on cases of dynamite! "jetman now sets down the remote and slowly backs away from the VCR with tears of laughter." I am in amazement that of all the celebrities from the 1930s, the only ones who are still a part of contemporary pop culture are Curly and Popeye. Oh S---! Hope I didn't get the Jetman started on a Popeye marathon! BTW- Mel Gibson is a huge Stooges fan, and usually worked a Stooges reference into all his movies. Didn't see one in THE PASSION though. I always call them Larry, Moe, and Curly. PS. Get those Shemp lines out of this thread. He's not a real Stooge. Edit: I've been humming "Three Blind Mice" in my head all day because of this thread. Moe,,,,"I could eat a horse"
Moe,,,,"I said a horse, not a jackass"
Moe,,," Put some tape on it"
Moe ,,,"Well we had to forget something or we wouldn't be plumbers." Curly,,,,"Certainly, If at first you don't succeed, keep on sucking ''til you do succeed"
Bailiff,,,,"Do you solemnly swear to tell the truth, the whole truth and nothing but the truth? Judge,,,,"Why don't you answer him?" Curly,,,,"He's talking pig-Latin, I don't know what he's saying." Judge,,,,"He's asking you if you swear,,,,,"
Curly,,,,"No, but I know all the words." Man,,,"This bed goes back to Henry the 8th." Curly,,,,"That's nothing, we had a bed that went back to Sears Roebuck the 3rd." Moe,,,,"Say Jasper what did you shoot yesterday?" Curly,,,,,"I shot a seven but they wouldn't give me the money!" Curly,,,,"A simple job for simple people." Moe,,,,"What are you up to now?" Curly "I've got a perfect score!" Curly,,,,You know that I quit that job at the bakery." Man,,,,,"What kind of a fool do you take me for?" Curly,,,,,Why, is there more than one kind?" Curly,,,,,"Oh medicine, glug glug glug, I feel better already,"
Moe,,,,,"What was wrong with you?" Shemp,,,,,"You're supposed to be singing about the voices of spring, not the eruption of a volcano." Moe,,,," No no no no,,,Too morbid." Curly,,,,"Suppose the murderer comes back?" Moe,,,,"Shut up, you got nothing to worry about. If he stabs you in the head , he'll ruin his knife." Moe,,,,"You and that iron head of yours, look at that, the boss is going to make us pay for another tool". Curly,,,,"You know that my name is Curly Q. Link." Moe,,,,"What does the Q. stand for? Quincy? Quillip? Moe,,,,"The three of us work together, we're cops, I'm Halliday"
Shemp,,,"I'm Christmas Day,,,,,jingle bells jingle bells,,,,smash,,bonk,, I'll tell Santa Claus on you!" Shemp,,,"I'm Independence day", ,,,,,,,ssssssss fffffttt (dud-firecracker) "Fooled you!" BOOM "Ouch, fooled me!" Shemp,,,"I'm Labor day, and with us now everyday is labor day, ok then, lets labor",,,,smash crash boing. Curly,,,, "Let's play Post Office!" Phyllis Crane,,,, "Oh, that's a kid's game." Curly,,,,"Not the way I play it!" Daisy,,,,"What are you taking up at college?" 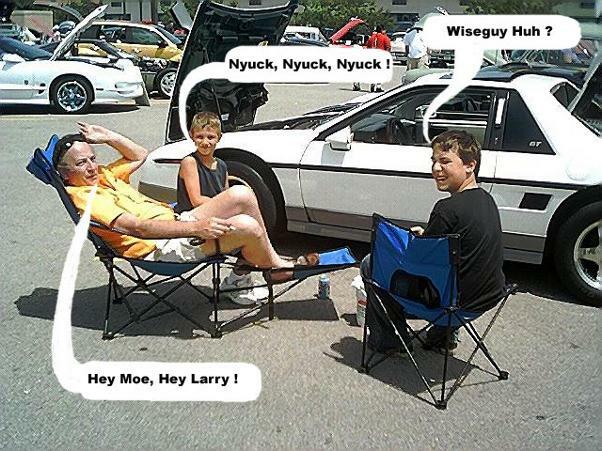 Larry,,,,"Piglatin, Atway areya oingda onighta? You wouldn't know a thing about that would you?" Larry,,,,"Wait a minute, what's this blind mans bluff?" Moe,,,,"If it's what I think it is, then we're going home." Curly,,,,"I don't know now, you,,,,." Man,,,," How can three men make so much noise painting?" Moe,,,,"You don't know us guys, we make noise stuffing a mattress!" Woman,,,,"Just looking for a drink of water." Chef,,,,"Turn on anything! You'll get it!" Curly,,,,"Well doctor, I've a terrific pain right here. Everytime I squeeze my adams apple, I taste cider!" Butler,,,,(speaking to Moe) "Incidentally are you good on stews?" Curly,,,,"Certainly! He's always half stewed." Butler,,,,"Such levity! Why you remind me of The Three Stooges!" Bailiff,,,,"Address the judge as your honor." Curly,,,,"Well it was like this, my honor." Bailiff,,,,"Not my honor. Your honor." Curly,,,,"What's the matter? Don't you like em?" Curly,,,"And a phoney at the mike." Curly,,,,"Don't you dare hit me on the head, you know I'm not normal." Curly,,,,"I'm not afraid, I'm not afraid...What a liar I am!" Curly,,,,"I"m sawing a saw in half with a saw, see?" Man,,,,"WHY, YOU RUINED MY SAW." Curly,,,"Don't get excited, you can still use it for a cheeseknife!" Curly,,,,"I'm stabbed, I'm dead, I'm murdered, I'm killed, I'm annihilated. What will the world do without me? What will I do without myself? I'm slaughtered, I'm annihilated, I'm destroyed, I'm barbecued, I'm done for. Can you think of anything else? Moe,,,,"No, you've covered it all." Larry,,,,"What're doing with that rifle? Don't you know any better than to use a rifle? Ya might miss him. Here, use the SHOTGUN instead." Moe,,,,"I'll explain it so that even you'll understand it!" Moe,,,,, "Moe - Oemay,,,,,, Larry - Arrylay,,,,,,,Curly? -"
Larry,,,,"You know fish is great brain food." Moe,,,,"You ought to fish for a whale!" Moe,,,, "Poor Shemp, we'll have to cremate him!" Larry,,,,"We can't do that, we ain't got no cream." Curly,,,,"Well, there is a hole in the floor. That's dangerous. I'll put a throw-rug over it." Larry,,,,"Hey Moe, we'd better lock that door in case our adversaries come back!" Moe,,,,"Adversaries?" "When did you get so smart?" Larry,,,,"Oh, I've been smart all the time only you never knew it!" Shemp,,,,"There's a thousand reasons why I shouldn't drink. A thousand reasons. But I can't think of one right now!!" Woman,,,,"You fool! If my husband finds you in here, he'll KILL you." Larry,,,,"If you husband finds me like this, I DESERVE to get killed." Moe,,,,"How did you get so intelligent?" Shemp,,,,,"I went to college-Swedish Massage College!" Moe,,,,,"Then why didn't you go into that?" Shemp,,,,"I couldn't find enough swedes to massage! Moe,,,,"I say , Jasper. What comes after 75?" Curly,,,,"What do we have to do?" Curly,,,,"Ooooooooh hunting, how are we gonna shoot golfs without guns?" Shemp,,,,"Hey ,Moe. I don't feel so good. I oughta take something for my nerves." Curly,,,,"Separate two eggs,,,,,,That oughta be far enough!" Shemp,,,,"If Sue has no shoe,,,,,then a shoeing Sue we must do!" Ok, here's one of my favorite scenes. The owl/skull/sheet spook had been flying over the Stooges with Shemp swinging wildly at it with a broom. But instead of hitting it, he kept whacking Moe and Larry by mistake. With Moe glaring suspiciously, quick thinking Shemp exclaims,,,,"It's a lucky thing I took it away from him, he'd a killed ya both!" Moe,,,,"You lunkhead, every time you think, you weaken the nation." Quotes from Moe Howard when he gets steamed! "I'll chop your head off." "I'll tear out your esophogues and your tonsils." "I'll split your skull from ear to ear." "I'll mash your head like a potato." "I'll gouge your eyes out." "I'll tear your tosils out and shove it right in your eye." "I'll baste you in nitric acid." "I'll tear your tosils out and tie them around your neck as a bow tie." Moe,,,,"Now you're getting your vitamins, starch, vegatables, hypocandriacs." Larry,,,,"He swallowed the tacks,,,, the tacks won't come out!" Shemp,,,,"They went in, maybe they're income tax." Curly,,,,"You can't eat me, I'm too tough, I'll give you indigestion!" Larry,,,,"Hey wait a minute, I can't find the negative." Curly,,,,"I'm positive about the negative but I'm a little negative about the positive." Larry,,,,"Quit stalling, I'm so hungry, I could eat a horse." Moe,,,,"What do you guys think you've been eating for the last month!" Moe,,,,"I always said your face scares people, why don't you throw it away." Curly,,,,"Hey, have you a fishing license?" Curly,,,,"Then give me back my fish!" Curly,,,,"What's the matter with you?" Moe,,,,"I just drank some paint." Curly,,,,"That's silly, I always drink coffee." Curly,,,,"Oh a termite with dandruff." Moe,,,"If we're discovered, we're lost." Curly,,,,"You're crazy, if we're discovered, we're found." Curly,,,,"Say I've got an uncle in Cairo, he's a chiropractor, nyuk nyuk nyuk." Moe,,,,'How do you spell chrysanthemum? Oh ignorant eh?" slap "How do you spell it? Moe,,,,"Anything that the Wright brothers can do, the Wrong brothers can do. Right?" Boss,,,,"I'll give you another chance." Moe,,,,"That's three more chances boys, c'mon!" Curly,,,,"How do you spell head?" Moe,,,,"I'm the boss and I want you to stop falling of the scaffold." Curly,,,"Can I help it if I was born dizzy?" Moe,,," That's why I slugged you. Do something!" Shemp,,,,"Oh a bebopper, dig that craaaaaaaazzzy bopper name, ebebebebebe, cool man, little George, give me some skin." Larry,,,,"Oh excuse me gentlemen, I've got to take care of a weak back." Man,,,,"How long have you had a weak back?" Larry,,,,Oh, about a week back." Moe,,,,"Get up you sleepy heads, look at me every morning wide awake, 11o'clock." Curly,,,"I'm awake but I can't get my eyes open, (plink) OUCH, thanks!" Curly,,,,"But I had a bath." Curly,,,,"July 4, 1910. I was too young to fight about it then." Moe,,,,"What are you gonna do about it now?" Curly,,,,"Sounds like there's a bear down there. I'm gonna get a trap!" Moe,,,,"Wait a minute, how can there be a bear down there?!" First time I saw this thread, funny thing is a Stooges DVD just came in from Netflix. I'm getting ready to watch it right now. I'm on my way over to your house right now! I was considering the purchase of some DVD's so be sure to let us know how you like it! I love the one where Larrys cutting porcupine ends from Curly's a$$! Moe: Hey...your leaving the ends in him! Larry: Well they don't show! Moe,,,,"We'll have to start over, c'mon where's the hammer." Larry,,,,"Wait a minute, you want to kill him?" Curly,,,,"Why don't you mind your own bussiness, go ahead Moe." Moe,,,,Ok kid, I'll just give it one tap to loosten it." Foreman,,,"I just put three new riviters on this section Mr. Blake"
Mr. Blake,,,,"How are they working out?" Foreman,,,"Havn't checked up on them yet." Mr.Blake,,,,"Solid construction eh!!!!!! "Where are those three new men?!!!" Moe,,,,"Now listen captan, You wouldn't turn us out into the cold cruel world, suppose it was snowing, we would freeze." Curly,,,,"Yeah, it'll be cruelty to animals." Larry,,,,"Yeah, our girls love us in these uniforms." Moe,,,,"Oh captan, give us another chance will ya, we'll put out a fire single handed." Larry,,,,"We'll start two fires and put them out double handed." Curly,,,,"We'll even start a fire and have YOU put it out." Moe,,,,Say let's get this over with and I'll ask the captan to let us off tonight. Curly,,,,"Yeah, we're invited to Macy's house to a birthday party. Curly,,,,"Plenty of pigs knuckles smothered in garlic ." Larry,,,,"She's got a couple of new girls for us to meet too." Moe,,,,"Oh, a blind date eh?" Curly,,,,"She ain't blind, she may be a little hard of hearing." I think that Cookoo Cavaliers is the episode where the stooges are fish salesmen. Someone let me know if I got the fish song right! "We've got rock-cod, sea-bass, albacore and pickerel, sandbag, yellowtail, tuna-fish and mackerel, two-fish, sail-fish, half-n-half and if you wish, sword-fish, white-fish and everyone can pick a fish." You wouldn't believe it but I tell you anyways. My phone number is one digit different from Superior Fish Market and about once a month I get to do The three Stooges fish song for someone who has miss dialed. I'm their best salesman even if it is a wrong number! Wrong number, no problem, maybe it was "Tarpon monoxide!" Moe,,,,"For two pins, I'd bat your brains out." One thing I was amazed by is the video quality. It is much better. There were some great times in these episodes showing Curly at his best. If any of you has Netflix, put me on your friends list and I can reccommend you some great ones. I'm darkstarcrx13@yahoo.com on Netflix. Another "Fish" version is: "Tuna fish, cod fish, smelt fish, dogfish! First tuna, second tuna, barracuda, bass! No Smoking - No Hunting - No Fishing - No Nothing - Go Home! Curly: Well, if there's no other place around the place, I reckon this must be the place, I reckon! Larry: I've been running my legs off all morning till my cuffs are frayed. Moe: What was your family decomposed of? Curly: Well, I'll tell you. There was a litter of three, and I was the one they kept! Shemp: You want to spoil my good looks? Logic is a systematic method of coming to the wrong conclusion with confidence! I have learned that Spike TV has acquired The Three Stooges! A marathon will air on April Fool's Day 9am-6pm, then Spike TV will air the shorts on a regular schedule. Man alive, wouldn't that be great if they were uncut! I can't wait! Dateline Royal Oak MI; Authorities report a man doing summersaults, jumps and handsprings all over the joint, screaming Moe, Larry, Curly, cheese, cheese, VCR, VCR, whooo, whooo, whooo, nyuk, nyuk, nyuk, Dr. Howard, Dr. fine, Dr. Howard while spinning around in circles on the ground. Attempts to subdue the man by playing "Pop goes the weasel" were totally futile and made the situation much worse. Multiple face slaps, eye-pokes and mahem continued untill a passerby suggested giving the derainged man some cheese which calmed him but the chourus of stooge phrases continued unabated. Shemp,,,,"There was an ugly-lookin' thing starin' right at me. It was horrible! Whaddya know? It was YOU! Shemp,,,,"Meet the wife, and don't laugh." Shemp,,,,"Did you come from behind that rock, or crawl out from under it?" Curly,,,,"Roses are red, and how do you do? Drink four of these, and Woo woo woo woo!" Shemp,,,,"I'm as pretty as a picture!" Curly,,,,"Brighto! Brighto! It makes old bodies new! We'll sell a million bottles, Woo-woo-woo-woo-woo-woo-woo!" Shemp,,,,"I ain't gonna lose my leg am I Doc? I've had it ever since I was a little kid!" Shemp,,,,"Six lions were tearing me apart, bit by bit, six lions!"